Online ticket sales end 2 hours before doors. You may still purchase your ticket at gates day of show. If using a card at the door, the Hold My Ticket service fee still applies. Raw, gritty, and down right real! That’s what you can expect from a G. Love concert. Garrett Dutton—the man known as G. Love started his musical career by busking on the streets of Philadelphia. After a short stint in college, he later relocated to the city of Boston. While there, he played wherever and whenever he could. One of his few indoor gigs at this time was a Boston bar called The Tam O’Shanter, where he met drummer Jeffrey “The Houseman” Clemens in January 1993. Dutton and Clemens began working as a duo, they were joined a few months later by bassist Jim “Jimi Jazz” Prescott and became the house band on Mondays at The Plough and Stars in Cambridge, Massachusetts. 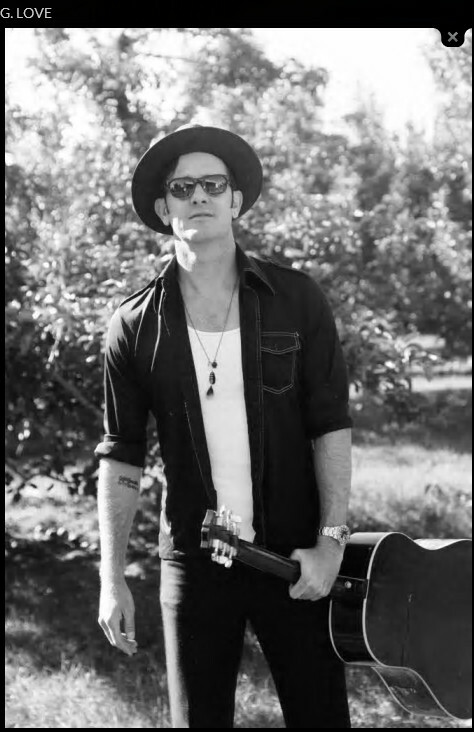 As a singer/guitarist and harmonica player, G. Love is most notably known for his live act as G. Love and Special Sauce and his musical collaborations with Jack Johnson, Donavon Frankenreiter, Zap Mama, and The Avett Brothers.